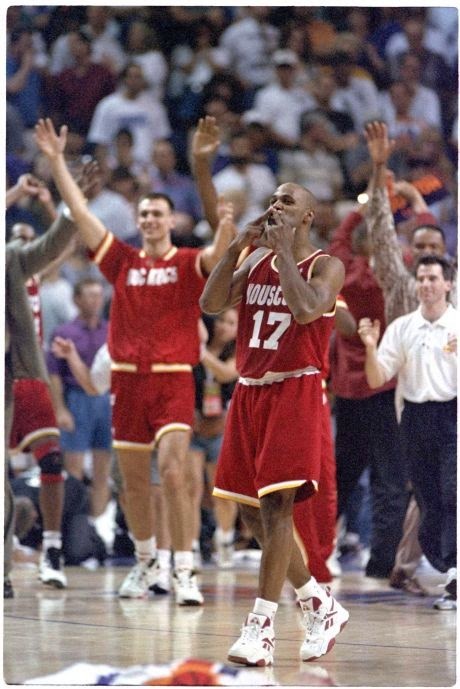 As the NBA playoffs are about to begin with our Houston Rockets having once again a great chance to win the NBA Championship, sometimes we here in Houston get nostalgic of when Houston was known as "clutch city," about 25 years ago. 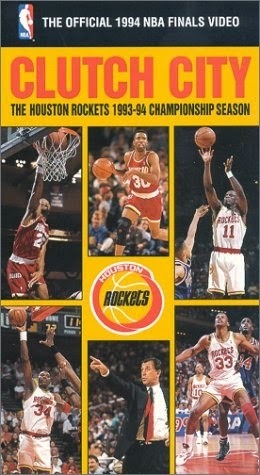 Maybe these Houston Rockets will once again make H-Town clutch city again. Do you know the history of Clutch City? In 1994 and 1995 the Houston Rockets made the long suffering [without a championship] Houston fans proud by winning back to back NBA World Championships. They became known as the Clutch City Rockets and the city of Houston became known as Clutch City, with their own Clutch City USPS stamp. But a lot of you might not remember how the name of clutch city came about. Houston did not have a pro championship to their name in the major sports, NBA, NFL and MLB despite having some good teams and making the playoffs many times, all for naught. This streak of no championship looked like it could end in 1993 as the Houston Oilers, led by QB Warren Moon, had a high powered offense and they opened the playoffs against the Buffalo Bills, who were without their starter, Jim Kelly as he suffered an injury in the last game of the season. Fans felt the excitement as the Oilers were blowing out the Bills, 35-3 [that's a 32 point lead for the benefit of all you Steeler fans out there]. Well, the back up quarterback for the Bills Frank Reich led a gut wrenching [to Houston fans] amazing comeback win, and Houston fans were to be denied once again. So, the very following year Houston fans were hoping to get a reprieve and wipe out that nightmare, as they had a great NBA team led by coach Rudy Tomjanovich and superstar center, Hakeem 'the Dream' Olajuwan. 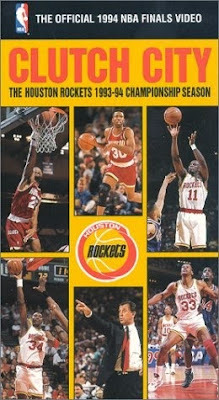 In the semi-finals of the Western Conference that year the Rockets were a big favorite against the Phoenix Suns. In the first game at home the Rockets were blowing out the Suns by 18 points in the fourth quarter, but somehow managed to lose that game. Okay, we were only down 1 game to none, let's come back and even up the series in the second game at home. Again the Rockets were blowing out the Suns, this time by 20 points in the 4th quarter, and you know what happened, they blew it again. Just think, after coming off one of the most devastating defeats for Houston pro sports fans with the Oilers blowing a 32 point lead against a back up quarterback, they suffer two back to back [what you have to be honest and call] choke jobs by their NBA team. In fact, the city was so down and frustrated by seemingly another choke job by a Houston professional team, it was reflected by the headlines on the front page of the morning Houston Post [no longer in existence] newspaper: "CHOKE CITY"
What happened after that was unbelievable. There was surely no way, after blowing two huge leads in the fourth quarter in Houston, would the Rockets come back in the series, especially having to go to Phoenix for games 3 and 4 and being down 2-0. 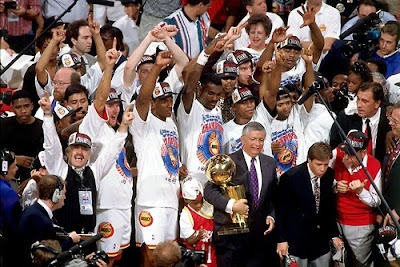 Well guess what fans, the Rockets, coached by the great Rudy, "the heart of a champion" Tomjanovich, played amazing basketball in Phoenix, won both of those games, and eventually won the series in 7 games, winning at home in game 7, 104-94. And guess what the headlines on the front page of the Houston Post was the morning after this amazing comeback, after being labeled Choke city just days before? You got it: "CLUTCH CITY!" The Rockets would go on to defeat the Utah Jazz, 4 games to 1 in the Western Conference finals and defeat the NY Knicks in 7 games to win Houston's first major pro league championship! 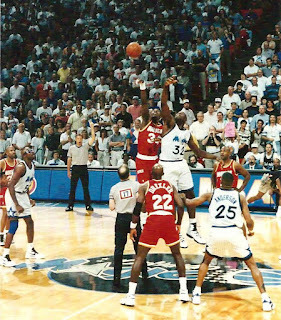 Then, the city of Houston and the Houston Rockets would get to keep their mantle of Clutch City, as the next year in 1995, the sixth seeded Houston Rockets, again coached by Rudy "T" would again make an amazing comeback against the Phoenix Suns [again], down 3-1, and eventually winning in 7 games on Phoenix home court [in what is known as the "kiss of death" game], as Mario Ellie hit a corner 3 pointer to sew up the game in the last few seconds, and then blew a kiss to the Phoenix bench. 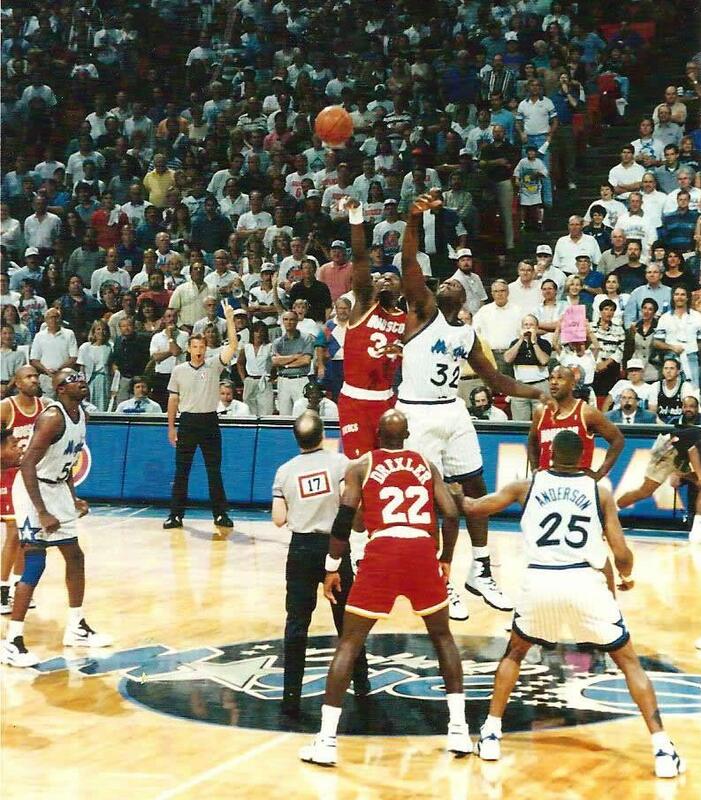 The Rockets would sweep the Shaquille O'Neal Orlando Magic, 4-0 to win back to back titles. Houston officially became known everywhere as clutch city! With the exhilaration of our 2017 Houston Astros becoming World Series Champions, we have visions of our Houston Rockets becoming the "clutch city" Rockets once again and making Houston the "city of champions".